Every day, throughout the EU and beyond, thousands of dogs are working to help keep us safe, many times even risking their lives. 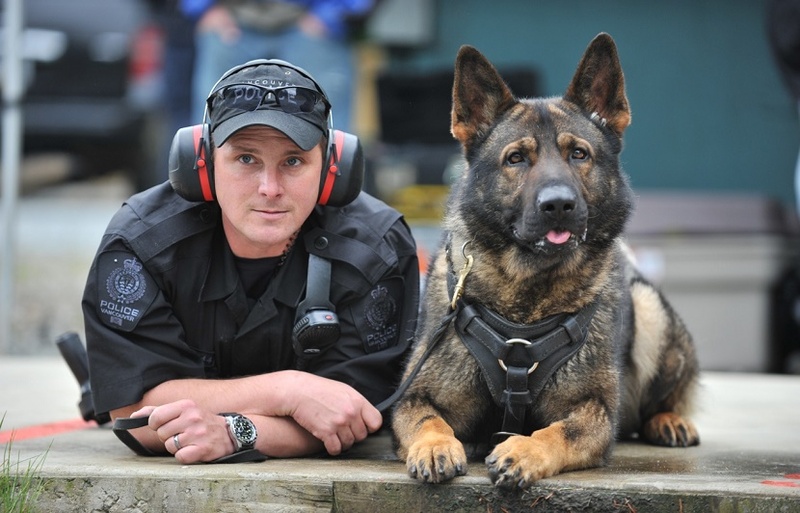 These specially-trained and dedicated ‘K9’ officers are searching for explosives or drugs, finding evidence at crime scenes, tracking missing people and criminals and protecting their handlers. West Midlands Police dog ‘Cassie’ is proud mum to the latest litter of puppies born through the force’s breeding scheme a programme which has just been officially commended by the Kennel Club. The seven-strong litter of German shepherd pups four boys and three girls were born at the force’s Balsall Common dog unit last week. It’s the first litter since West Midlands Police were adopted into the Kennel Club’s Assured Breeder Scheme widely seen as the benchmark for responsible breeders in the UK. To honour their loyalty and their work, Europol dedicates for the first time ever its yearly calendar to these invaluable four-legged members of police forces. Europol’s “Dogs as Heroes” 2018 calendar features professional images of police dogs in their working environment in Europe and beyond. All of the calendar’s images were submitted to Europol as part of the Agency’s annual photo competition open to law enforcement photographers. Europol’s “Dogs as Heroes” 2018 calendar will be available for purchase for one symbolic euro* at the EU Bookshop.